SurveyMoz is a rather recent online survey tool that offers a lot of powerful features at a very small price. We will review today the Free Plan. The site also offer a Premium Plan that costs $22/month ($192/year if paid annually). 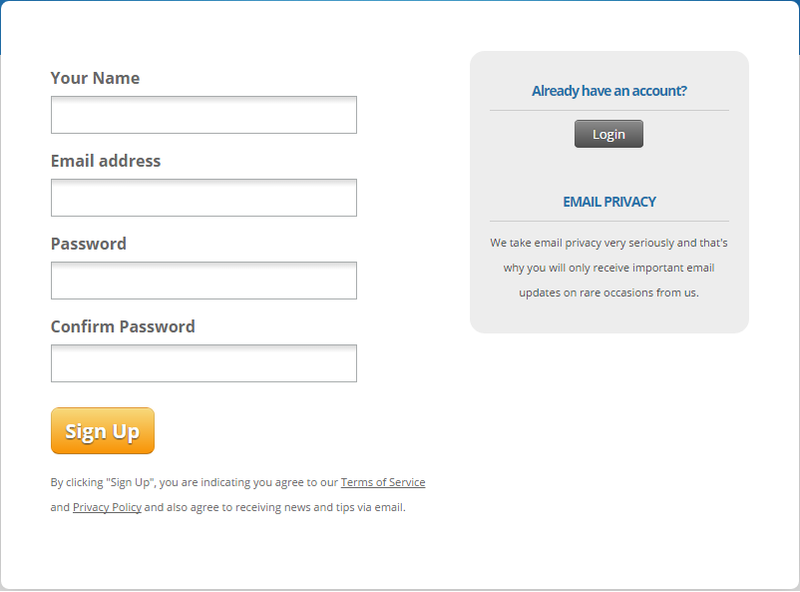 It’s very easy to sign-up to SurveyMoz. There are only a few fields to fill in. SurveyMoz offers over 80 survey templates, organized in several categories (Customer Surveys, Education Surveys, Employee Surveys, Event Surveys, Healthcare Surveys, Hospitality Surveys, Marketing Surveys, Research Surveys, Non Profit Forms, Web Forms). We will create a new survey from scratch. 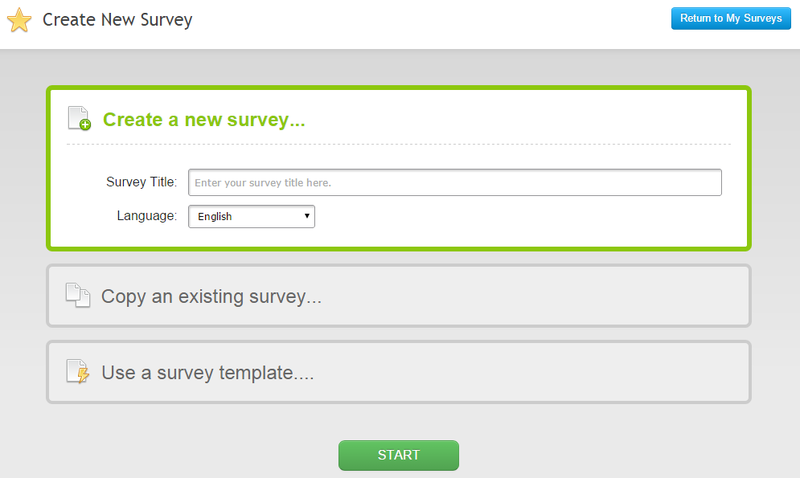 To do that, all you need to do is enter the new survey title and language (you can choose from 19 available languages). 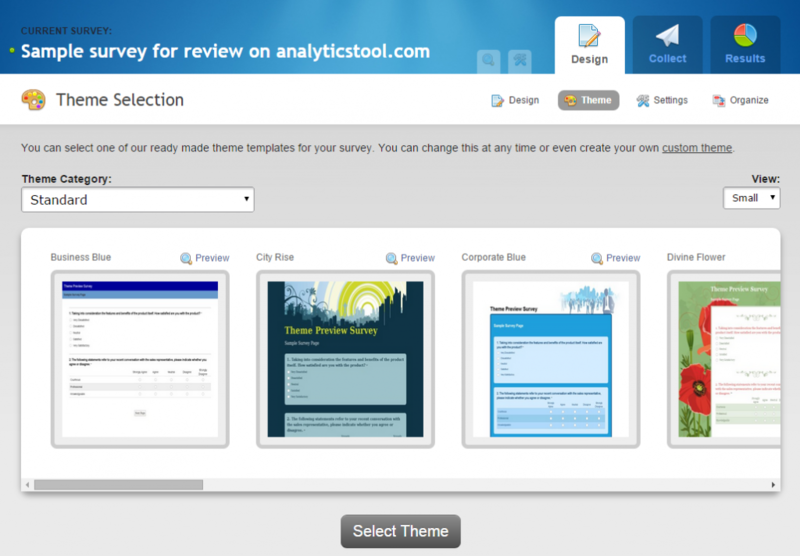 The next step is to select a survey theme. 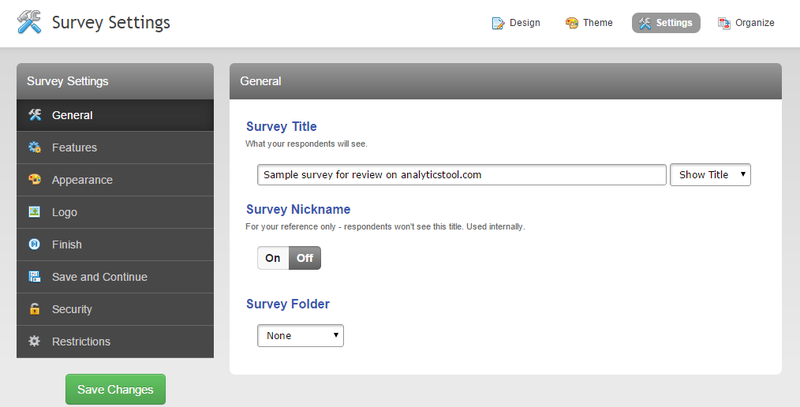 SurveyMoz offers over 60 predefined survey themes. You can choose one of these or you can create your own custom theme. 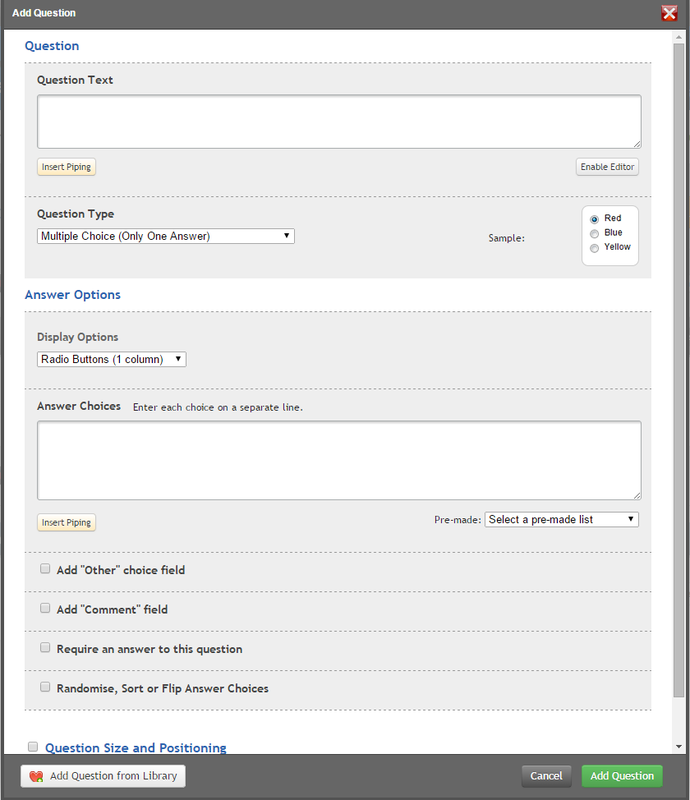 SurveyMoz offers a nice section where you can organize your survey questions and pages. Here you can change the position of a question with a simple drag and drop. 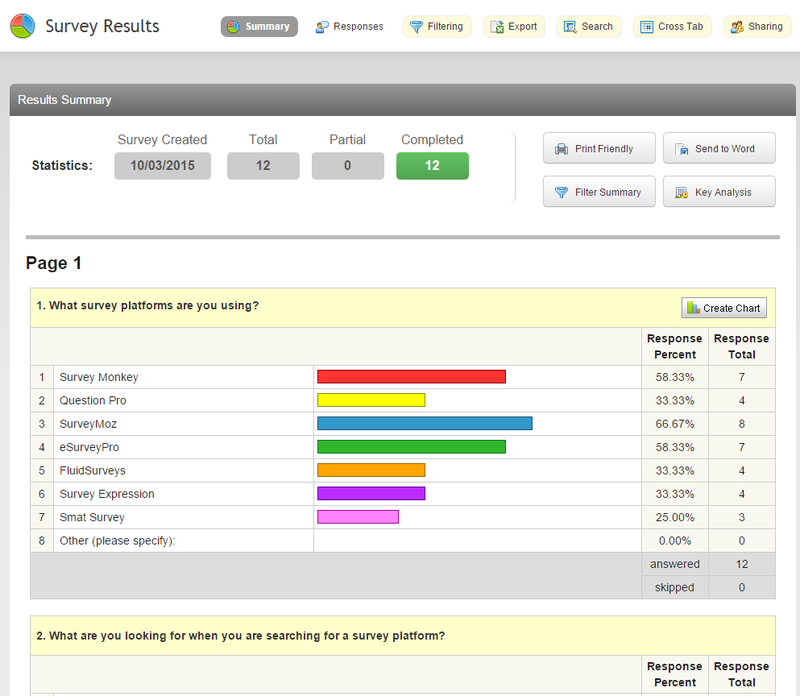 Overall, SurveyMoz is one of the best survey software tools we’ve seen in a long period of time. There is not really much that we can write here. 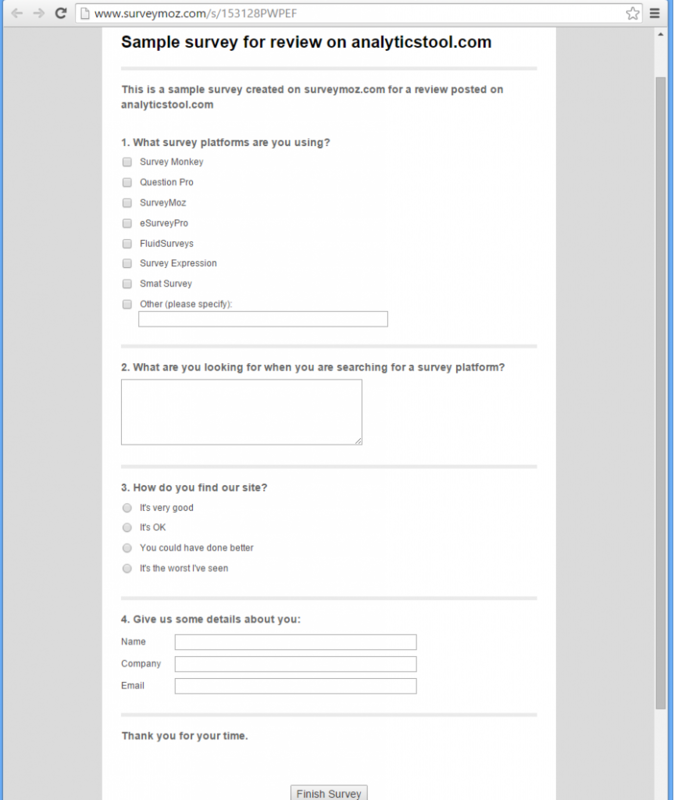 SurveyMoz looks like a really nice and powerful survey tool and we strongly recommend you to use it. The price is unbeatable also. $16/month (billed annually) is a very small price to pay for such a powerful tool. Besides that, SurveyMoz also offers free full accounts for students and non profits. Your can read all about it here. 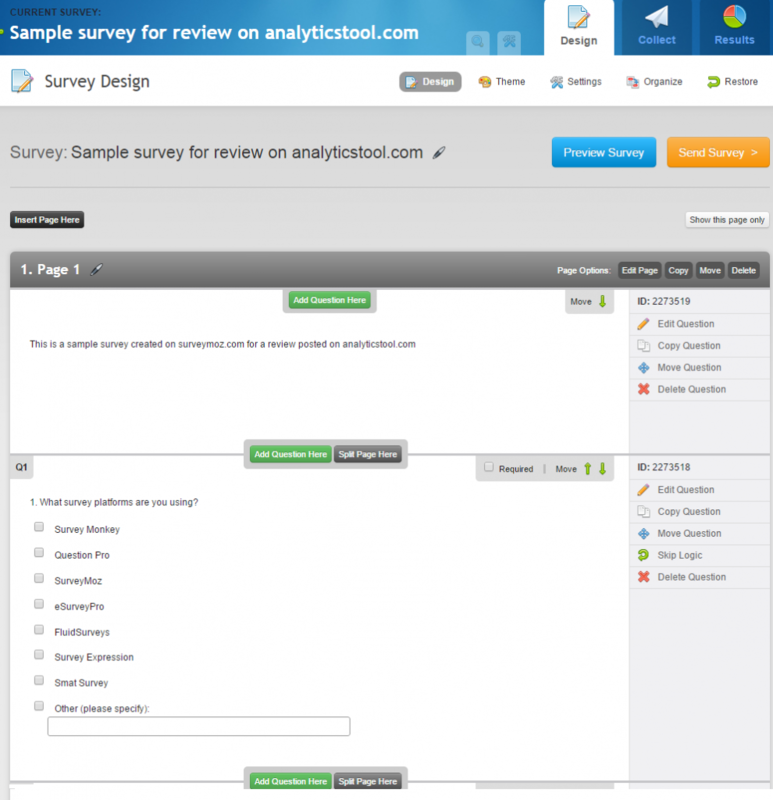 For more details about online survey tools, visit http://www.analyticstool.com/.